I have been a fan of their cool online store for a while now,because their items are so trendy and fun! Anyone in the mood for jewellery? 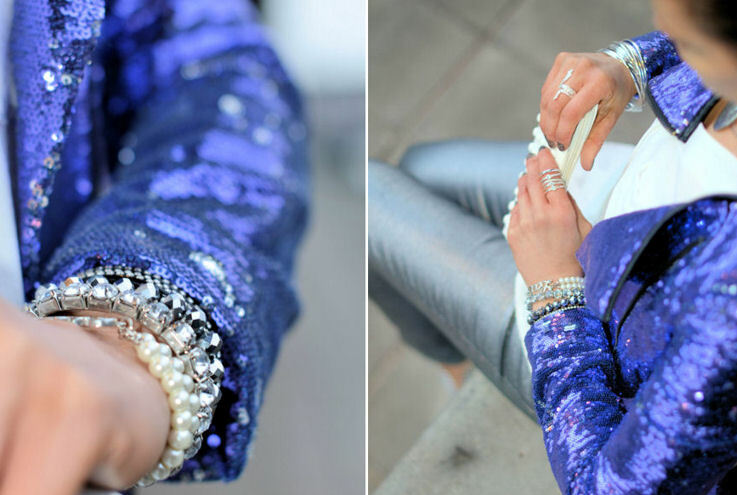 I grabbed all the silver jewellery I am wearing for prices you won’t believe!! Especially wearing it with white, lilac, blues and black,… it is stunning! Basicaly you can mix metallic with any color of course! I just love this clean and fresh colormix…definitely great for spring! Just wondering would you guys rock the metallic trend or is it something you will pass? "Indigo baroque coat in the snow"
"Fuchsia pink and black and white stripes"